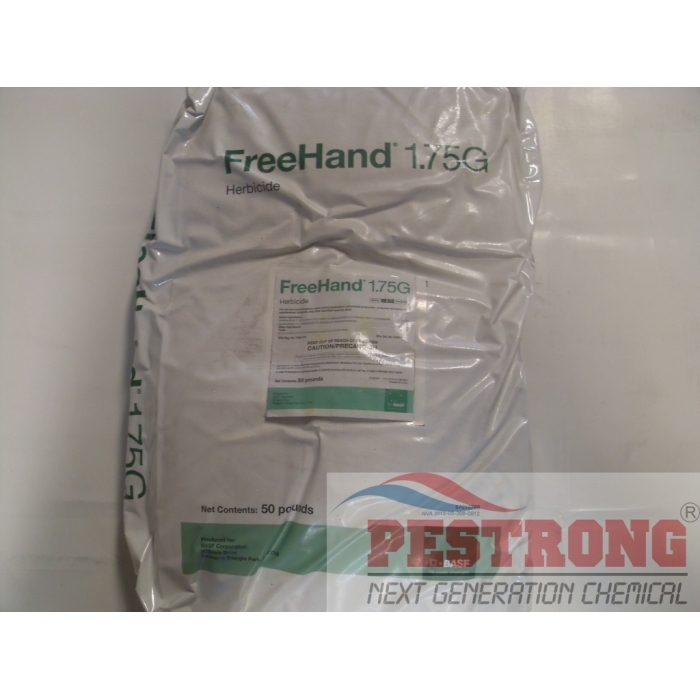 Where to Buy Freehand Herbicide, Freehand 1.75G Pre-Emergent Granules Herbicide - 50 lbs - $139.95 for Sale with Fast Free Shipping! Freehand 1.75G Pre-Emergent Granules Herbicide - 50 lbs introduces a new active ingredient for use in turfgrass, landscape ornamentals - dimethenamid-P - combined with pendimethalin. 20-20-20 + Minor Soluble Fertilizer with.. This unique combination makes FreeHand 1.75G the perfect tool for preemergent weed control of annual grasses, susceptible sedge species and many small-seeded broadleaf weeds. Combines two active ingredients for a broader range of control. Delivers excellent residual control in container medium, stopping weeds as they germinate. Offers a wide range of plant species tolerance and use sites. Turfgrass can be used : warm-season grass like bermudagrass, centipedegrass, kikuyugrass, st. augustinegrass, seashore paspalum, zoysiagrass. I used strictly freehand this year. So far the results have been excellent. The best part is, that it's a better product and cheaper than snapshot. Better pre emergent than pendulum g. Trust brand name. Good.